I have to admit that I love Chi-Town and independent scene from this city. Recently all readers could read the interviews with Kevin Johnson of The OPUS and Sef Rich of Earatik Statik. And now U Call That Love is proud to introduce another artist from Windy City. 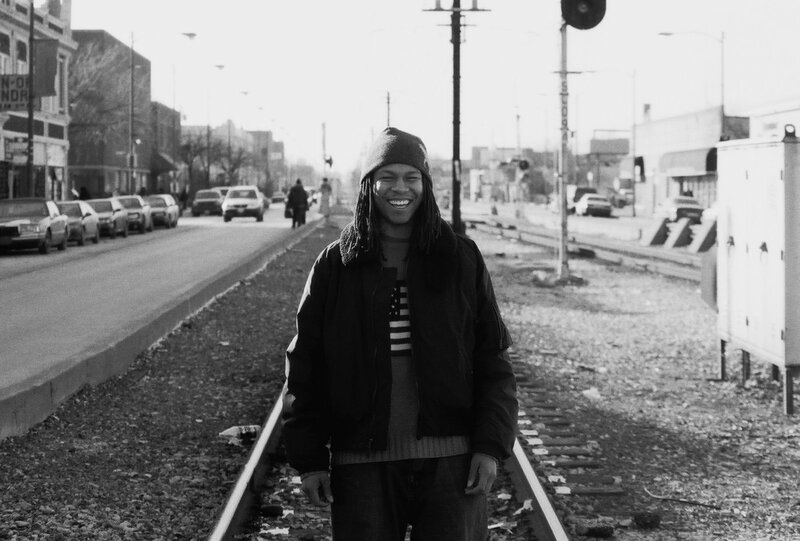 has been an influential artist on the ever-evolving Chicago scene. 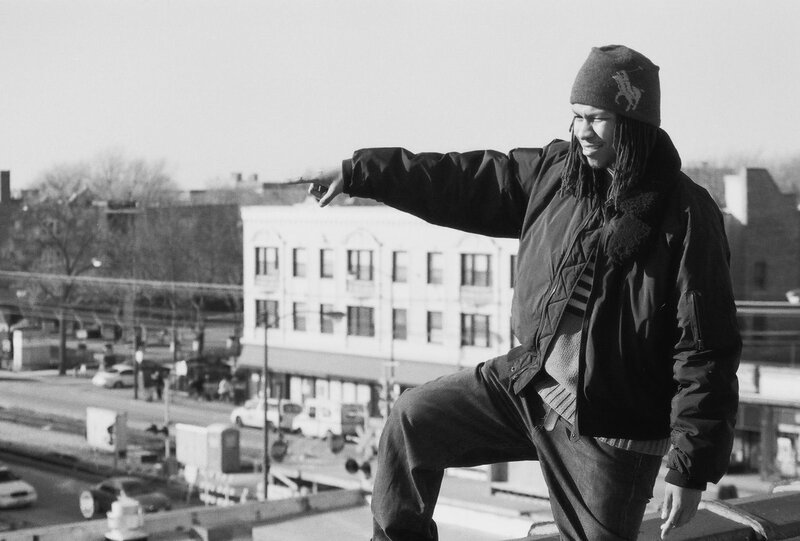 He’s recorded since mid ’90ties and he was also a leader of Nacrobats, a crew that was influential to so many people in Chi-Town. So, let’s talk with Pugslee Atomz! What’s good? You awoke in this world in Pittsburgh PA., son of an ex Panther turned Radio host and a Painter. Could you tell me more about your parents and childhood? When you decided to move to Chicago? We moved to Chicago when I was around five years old, my father had got a DJ gig at WVON. We were living on the southside in an area called Roseland. My parents played all types of music at home (classical/soul/Jazz etc..). My mom put a paintbrush in my hand since I could hold one and always pushed me to create. When did you first fall in love with Hip-Hop? What was yours first basic steps in rapgame? Did you have any people who help you? I suppose that you’ve watched moves made by Chicago’s artists like Twista, Common, NO I.D. or someone else. Around ’85 I would see graffition the Green line trains in Englewood Chicago. These trains also would have rap groups performing and singers doing their thing for spare change. I was always drawn in by that element, and was waiting for it to make sense to me… My cousin Segram would come by my house and rap a beat box while my cousin Troy would break-dance. Tapes by Whodini and EPMD brought it together for me. The first rap I wrote was in 5th grade for a poetry assignment, so the next day when I recited mine everybody said „You’re rapping, he’s a rapper”. From that point it started to make more sense to me and I started to pursue it. As I developed and started to freestyle battle at school, I started to take notes from Tung Twista and Common Sense. Chi Rock (think Chicago zulu nation) and Basf crew (Graf) were the people that gave me more of an understanding. On yours official MySpace profile we can read about Pugslee’s influences. One of the first names which were written belong to painters – Salvadore Dali, Picasso and African-American Harlem Renaissance Painter Romare Bearden. How much art and graffiti are important to you? With out Art and Graf I would never had started into rhyming, those were my first loves and the things that bought me into HipHop. My music is reflections of paintings in collage and oil. Okay Player describe you as “a rare renaissance figure in hip hop with a background in all the elements”. Could you develope this description? I guess because I still care about HipHop and reflect it in my music and activities. I know that you’ve spent time in Europe in many places like Paris, Amsterdam, Brussels, Germany and London. What could you say about European coulture and people? They really appreciate the culture, and graf is surounding you in alot of places. As far as music I really enjoy working with producers out there like Vadim, Cigart Beats, The Beat Slammers and J Squared. Nacrobats were a crew which was founded by you in the 90.ties. Nacrobats were more than crew, in my opinion you was a leader of big family which consist of more than 100 membership. Do you agree with this statement? Yea, that sums it up…I never thought it would of been as big as it got. You’ve been on the scene since mid 90.ties and you’ve released records as part of Nacrobats and solo. How would you classify your music? Chicago centric/ Hip Hop / Soul/Lyrical / Blues. The Gent$ are new group from Chi-Town consists of you, Wes Restless, & Ill Legit. You released The Gent$’s official debut which was produced by Maker and The OPUS. What people are thinking of this project? It’s wild I really had no expectation for those records, we had been working together individually and one day I found out Wes and Illy were also making music together…And I was like „Lets start a group called The Gent$ and release a free album”. Is it difficult to started with something new in Chi-Town underground? Some times…but with The Gent$ people have been really receptive form the strat. Nowadays, we are waiting for your next album called „Roof Top”. When possibly we can looking for this releases in stores? re. It will also be available on Itunes. I heard that you are working on other projects with Rasheed Hadee and Grant Parks. So, could you share with us any information about upcoming albums? Me and Rashid’s should be in June or July it’s called „Stormy”. The Grant Parks project is still being worked on but were about halfway done. Recently I listened to track called „Roof Top” which was produced by DJ Vadim. Vadim is one of my favorite producer and he is highly respected around the world. So, could you tell about this collaboration? In 2007 I open for Vadim for about 40 shows in the US and Canada…and over the last year he has been sending me beats, and I have send him songs back. Two songs I recorded during that time made his new album on BBE „U Can’t Lurn Imaginashun”. „Roof Top” was one of the first songs I recorded over his production and I had to use it for my album of the same name. I was impressed when I first time have been watching animated music video „Memorial” feat. Dave Ghetto & Deuce Eclipse. Was it your idea to made this video in 8 bit technology? Yea I’m veryhands on with my videos I usually shoot, direct etc…and I always wanted to use my Nintendo tabletop in a video, and have always been a big fan of the 8 bit style. You are resident of CTA Radio, where you run radio show and presenting Chicago’s underground music. What more can you say about your broadcast and CTA Radio? It’s been 10 years of great moments in Chicago music…so many freestyles sessions and interviews with talented people. For me it was a honor to be apart of something I grew up listening to as a teenager. JP chill put me on, he was one of the Pioneers of the Rap format on the sation back in 1985. CTA Radio is me and my Homie K Max playing the best inb HipHop while spotlighting Chicago talent. You’ve performed around US with many dope artists from Immortal Technique to DJ Quick and Cypress Hill. So which tour was the best and which artists were easy going to work with on tour? Large Pro was a cool experience. I learned a lot watching him work, my Chicago folk Thaione Davis and Prime those two guys would keep me on the road and motivated they were like my brothers. DJ Vadim really showed me how far you can take it, he plays all over the world and shows everybody love. I’m really excited to start this new tour with him overseas in May. I am interested in another your part of life. You teach art, graffiti and rap. Could you explain how does it works? Basicaly it’s giving the kids the chance to experiment in the medium then teaching them the basics and having a final project (Mural/Song/ tshirt). Right now I’m teaching graphic design wree the kids learn traditional and non traditional techniques and fuse it together. Are you satisfied with yours pupils? It’s like some get it and take off, while others let there pride and fear get in the way. But alll in all I have ment some very talented kids over the years. 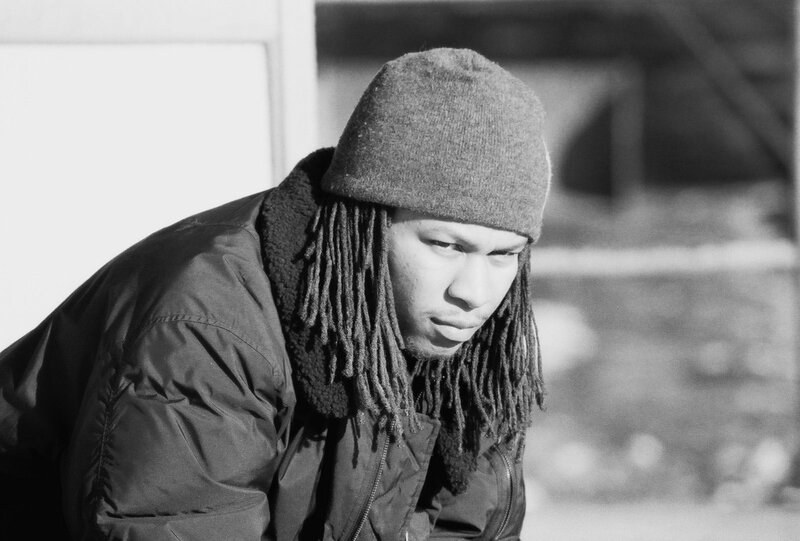 What can you say about Chicago’s underground? Could you compare Chi-Town’s independent scene today with another scenes from US cities? Chicago has so much talent but not many outlets so it’s a pretty tuff fight to get notorioty in the national scene with out some backing or a solid fan base. Everybody is a rapper or DJ right now…we need more fans. But on the other side of it Common, Kanye, Lupe, Twista are getting it in in music right now. Thank you for the interview. Last shout for the readers? Thank you for the interview. 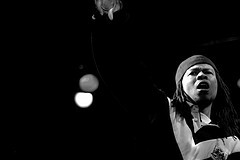 Check me out on Myspace and Youtube, look for the „Roof Top” Album on Itunes May 5th 2009. Peace….